What is the biggest tax write off for small businesses? Anybody who receives the gross income from their efforts and is then forced to take 20% – 40% and hand it over to the IRS, wants to know what is the biggest write off for for small businesses. As I connect with Minnesota small business owners every day, they always ask the question “what is the biggest tax write off for small business? 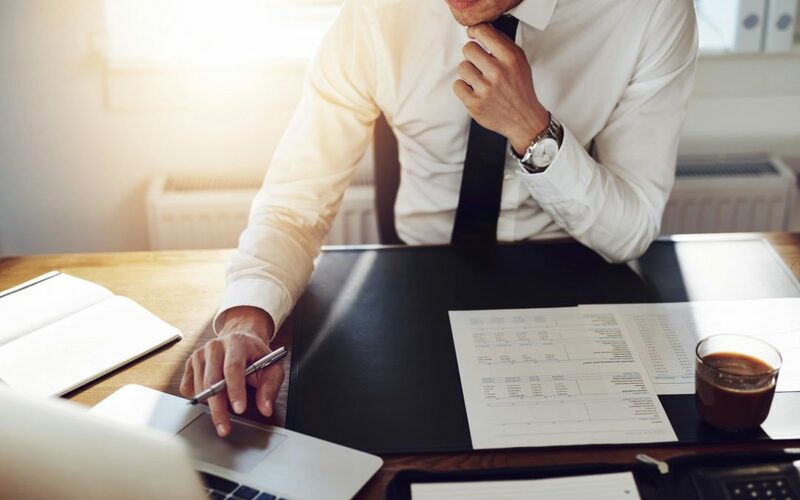 “And while there are a number of line items that can help reduce your taxes, there aren’t really any deductions for the business that aren’t just tied to expenditures. Using tax write offs isn’t necessarily the best way to mitigate what you owe, it’s better to make strategic shifts that align with the tax code. Rather then dive into different items that are a big tax write offs for small businesses, I’m going to show you how to play “offense “when it comes to taxes. Invest in rental real estate. When it comes to tax planning and finding the biggest tax write off for small businesses, nothing has illustrated the power of proactive guidance like Donald Trump’s tax situation. The government wants to stimulate jobs, agriculture, and housing. In order to stimulate investment into development, the government provides great tax benefits for real estate investors. A portfolio of real estate can provide a number of tax benefits in comparison to any other income generating activities. It is passive income which is not subject to self-employment tax. Expenses and depreciation provide deductions. A cost segregation could fast forward some of the depreciation. Paper losses can be carried over to offset regular income in certain circumstances. Depending on which one of these three classifications you are, there will be various potential tax reduction opportunities. The bottom line is that you can carry over losses in an increasing magnitude depending on which strict classification you are. Not only does real estate provide some good tax benefits, but real estate has traditionally been a solid investment. You are able to use the banks money, and eight tenants rent payment, to build wealth for yourself. I never recommend that somebody start investing in the stock market until they’ve worked the Dave Ramsey steps to eliminate debt and get on budget. Getting rid of your consumer debt and becoming physically fit puts you in a position to play “financial offense”. If you are in a position where you can play financial offense, you will have the opportunity for a large small business tax write off. People who work for an employer and receive a W-2 are able to invest in their company 401(k) plan, and IRAs. You’ll get the benefit of compounding interest for your small business, and you’ll also find out what’s the biggest tax write off for small businesses. But what kind of retirement plans are good for small businesses? Many people do not understand that Space small businesses and 1099 income earners have an opportunity to make him very taxi fission’s contributions to retirement plans. They can utilize a sap IRA, a simple IRA, a solo 401(k), A regular 401(k), a defined benefit plan, and a couple of other options. A sept IRA allow allows business owners to take up to 25% of their business income and make a contribution from the company. If you are the only person in your business, a sept Ira is not hard to manage. Depending on your cash flow, you would be able to take up to 25% and put it into a deductible, tax-deferred IRA. If you Have employees, you must contribute the same percentage of their salary as you choose for your income. So if you contributed 18% of your net income to the Sapphire Ray, you would have to pay contribute 18% of your employees salary into their own plan. One of the coolest tools available for small business owners is a solo 401(k). It is difficult to find A great company that has quality investments and a simple solution for a individual 401(k). I have found that Vanguard’s solo 401(k) is a tremendous value because it costs only $20 a year per fund inside the plan, on top of the already low expense ratios of their funds. What’s beautiful about the solo 401(k), is that you can make a profit share contribution as a percentage of your business income, or S Corp. salary, as a deductible contribution. You can choose a percentage, up to 20 or 25%, and elect to contribute to your plan up to 53,000 a year. I wont touch on all the other small business 401k & small business retirement plans available I just want to find the enormous tax write offs for small business that are easy to use – except for a defined benefit plan or small business pension. A defined benefit plan is a somewhat complicated tool for tax mitigation. It is something that very high income earners should use in order to fund a pension and retirement. Without getting too detailed, a defined benefit plan works with an actuarial calculation to allow deductible contributions up to 200,000 A year. The specific amount you can contribute to the defined benefit plan is connected to the contribution requirements to find a particular pension income in retirement. Because of the complex nature of these plans, We only recommend doing it when the tax advantages out way the administration costs. So using a retirement plan such as a sap IRA, solo 401(k), or defined benefit plan, are excellent tools. You must be able to play financial offense, but these tools are the biggest small business tax write off. Meant to help stimulate jobs in the economy. Even though it can be hard to tell, the American government truly understands that economic growth is important to increasing the quality of life not only for Americans, but also for the entire world. If you cannot tell, I truly believe that entrepreneurialism is beneficial for our world. What is interesting about entrepreneurship is that it is all about creation. Entrepreneurs take what did not exist and birth something. Even if it replicates a competitor, the efforts of entrepreneurship cause entirely new opportunity and solutions. Entrepreneurship is all about creation. It’s because of these truths that America has decided to provide different tax mitigation techniques to entrepreneurs that decide to take their business and develop it into and enterprise which Ken employee other people. This is why the subchapter S, or S Corp., exists. The idea is that if a small business will abide by certain formalities Space such as utilizing a payroll system, implementing great accounting and bookkeeping, and abiding as a corporation legally, they will be more likely to employ others. And S corporation is much better than an LLC when it provides tax savings which are greater than the required investment to perform the necessary formalities. How much tax savings and a small business experience with an S Corp.? If a small business has been taxed as a sole proprietor ship, it is our experience that they could experience a 10 to 70% reduction in there self-employment taxes. If you would like to understand if an S Corp. can provide you with tax savings, please read our additional resources here, and I would be delighted to introduce our Minnesota accounting firm called nuanced financial tax and accounting. So the first biggest tax write off for small businesses has little to do with the deduction, and much more to do with implementing an S Corp. strategy. If you are an S Corp. already, you must Space be working with an accountant to manage the tension between your reasonable salary and your owners dividend or distribution. If you are not adapting your reasonable salary and dividend distribution in proportion to your profitability, throughout the year and a proactive manner, then I’m nearly certain you are not maximizing this small business tax write off. Nuance Financial Outsourced Accountants for Small Business – QuickBooks Bookkeeper, Pro-active Tax Planning, Payroll Administration and Consultant. We’d love to have you come to our office in the Remax building behind culvers off of Kenwood Trail in Lakeville.